Full-Array LED backlight: Evenly distributes LEDs across the screens backlight for superior light uniformity and picture performance. 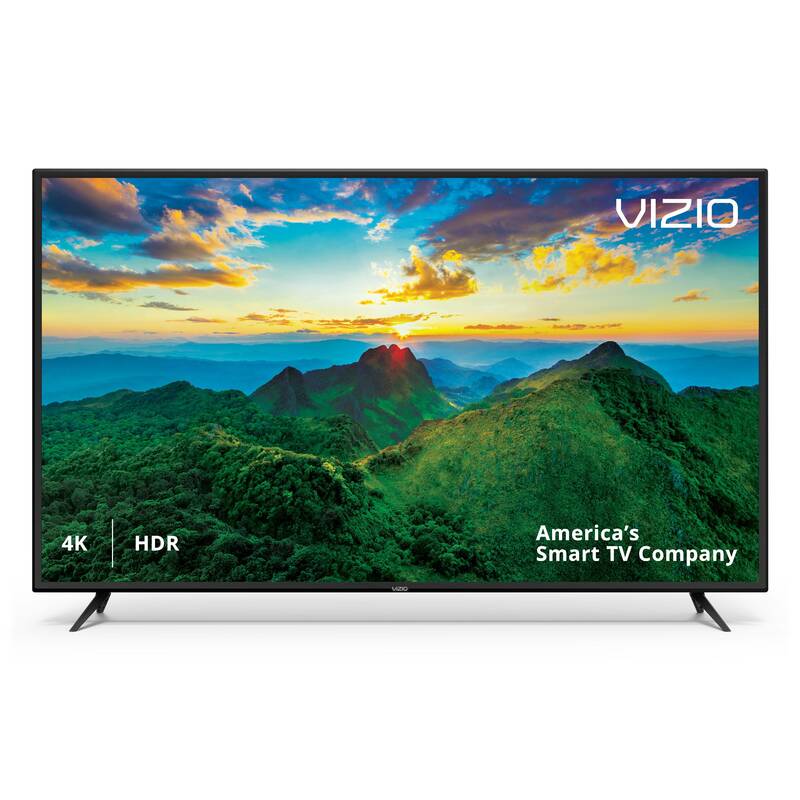 VIZIO Smart TV: Instant access to popular apps right on the TV using the included remote making finding something to watch more fun discover new shows including movies in 4K Ultra HD and HDR. Mirror Your Screen On the Big Screen: See exactly whats on your Android device or your laptops Chrome browser by streaming your screen to the big screen. 802.11ac Dual-Band Wi-Fi: Take advantage of todays fastest wireless speeds for a higher quality streaming experience, perfect for 4K and HDR video. DTS Studio Sound: Advanced virtual surround sound audio from the displays two built-in speakers. Love the TV. Hate the ChromeCast. We have the FireStick on another TV in living and bought this one thinking it would work the same. It is much more complicated. No voice search, not very many installed apps. You must use your cell phone or tablet to project it on to the tv. Thought we would spend more on this TV to avoid purchase of another FireStick but see it is must needed for a more relaxing evening and ease of looking up content. Tbook.com crawls the web to find the best prices and availability on products like Vizio D-Series 60" Class 4K (2160P) Ultra HD HDR Smart LED TV (D60-F3) (2018 Model). This product is one of the more popular items we list which is why it is in our "hot deals" section. If you have any questions on this product, please give us a call at 734-971-1210 during the hours of 9am - 5pm EST for assistance. Thank you for shopping at Tbook.com, the Internet Department Store!